Spacious immaculate 2 bedroom 2 bath townhome is well cared for. It features 3 lanais, laminate wood flooring, full bathroom on the main level, and indoor washer and dryer. Conveniently located close to shopping, restaurants, freeway entrance and theater. Come home to the Ko’olau Mountains as your back drop, enjoy beautiful lush grounds complete with pool, playground, tennis/basketball/volleyball courts, sauna, clubhouse, community garden, resident manager and more. Move right in to this spacious 3 bdrm/2 bath home in desirable Palehua Hillside. Covered patio, enclosed front & back yard w/ avocado tree, great for BBQs and entertaining family & friends! Newly installed quartz kitchen & bath countertops and freshly painted interior. No neighbors above or below and 2 side by side covered parking stalls directly in front of unit. Conveniently located minutes away from restaurants & shopping in Kapolei town. This lovely 2 bedroom 1.5 bath town home was fully remodeled in 2017, comes with one assigned covered parking stall and storage unit. Features include modern vinyl plank floors, a bright kitchen with new cabinets, quartz counters, all new stainless steel appliances. Both bathrooms have upgraded cabinets, ceramic tile flooring and quartz counters. Prime Kailua location, conveniently located to restaurants, shops, Whole Foods, Foodland, Target, coffee shops, world famous Kailua Beach and more. Highly desirable 2 bedroom, 2.5 bath, 2 story townhome at Village on the Green in Waikele. This unit is move-in ready and comes with 2 assigned parking stalls (1 open, 1 covered) as well as it’s own fenced yard. Complex is well maintained and has guest parking nearby. Convenient location near schools, restaurants and shopping. 1st Open House Sunday April 7th, 2019 from 1:00 – 5:00pm. An expansive panoramic ocean view, renovated kitchen and bathrooms, beautiful hardwood floors and tons of reasons to say "YES" to this gorgeous 4 bedroom 2.5 bath home in the breezy Makakilo Palehua Gardens. Unit #77 has a spacious split-level open concept living space where you can cook and entertain, while taking in the incredible view off of your lanai. Generous sized bedrooms and plenty of storage space allows maximum comfort and easy living. If you're on the hunt for "turn-key", this is it! Opportunity awaits at Spinnaker Place! Fall in love with a unique two-bedroom, two and a half bath, split level unit with central AC, upgraded dark laminate wood flooring and your own customizable den space. This community offers a community pool with BBQ's and cabanas, plus tons of guest parking. Entertain with ease in your own private backyard oasis, or sit out on the porch and enjoy the lush green landscaping. Check out all the great features of this unit at first open house Saturday 3/23 from 1-4 pm. Desired GROUND FLOOR 3 bedroom, 2 bath, 2 parking end unit in the beautiful gated community of Mililani Mauka! Enclosed wrap around courtyard, plantation shutters, laminate wood flooring throughout, Bosch dishwasher, Whirlpool refrigerator are just some of the features this unit offers. Close to schools, shops, parks, eateries, bus line, Schofield/Wheeler. Pet friendly. Beautiful move-in ready 3 bedroom, 2.5 bathroom townhome in Ke Aina Kai Townhomes. Detached garage with private courtyard and extended patio roof for extra coverage from the elements. Plantation shutters throughout the home and newly replaced Central AC system. Minutes from shops, restaurants, parks, schools, and golf courses. Original owners have maintained this home in immaculate condition. 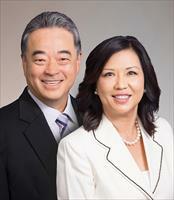 Seller requests Nara Kim, Title Guaranty Kapolei. Great location! Wilder Tower in Makiki. Spacious, well maintained, 2 bedroom/2 bath with an awesome view; 492 sqft wrap-around lanai. Great for entertaining! Enjoy awesome views of the city, ocean, mountain, Diamond Head and Friday night fireworks. This condo has only two units per floor. Easy access to buses, freeway, beaches, UH Manoa, Ala Moana Shopping Center, Downtown. Amenities include hurricane and UV protected lanai windows, a resident manager, a salt water swimming pool, secured entry and a large storage locker in the basement. Welcome home to Townhomes at Fairways Edge! This highly sought-after 3 bedroom, 2.5 bath property with a detached garage and private lanai makes entertaining easy-- not to mention the ample guest parking! Features include a spacious open layout, updated stainless steel appliances, recently added laminate flooring and brand new washer and dryer. Other detailed upgrades include: Nest thermostat, LED lighting and light dimming outlets. Located right next to Hoakalei Golf Club, and just a short distance from the community pool + jacuzzi. Join us for our first open house on 12/9 and find out what makes Townhomes at Fairways Edge so desirable! 1314 Victoria Street 901, Honolulu, HI new listing! Come home to peaceful Nuuanu. Rarely available, pet-friendly, large 2-bedroom on the cooler side of Nuuanu Parkside. Enjoy tradewinds with sweeping mauka to makai views from your choice of 3 lanais! Excellent bldg amenities, incl 24/7 personable security, gated parking garage, a large pool, spa, fitness room, party room, sauna & an exclusive temperature-controlled wine cellar! The property also offers a tranquil private park, with a walking path, gazebo, bbq & gated access to Nuuanu Ave. Prime location in the heart of Honolulu, mere minutes from H-1 and Pali. Nothing compares in the area! Island lifestyle living and all that Waikiki has to offer at highly desired Diamond Head Vista! Beautifully maintained, stainless steel appliances, tile flooring, assigned covered parking, onsite property manager and secured access. Located on the East end of Waikiki, enjoy panoramic views of the coastline and iconic Diamond Head from the comfort of your own covered lanai. Walking distance to world famous Waikiki Beach, Kapiolani Park, Honolulu Zoo, Shopping and Dining. Bright & breezy corner unit with sweeping views from the mountains to the ocean. Verdant green views from every room and every lanai. Each room opens into its own private lanai offering almost 350 sq ft of lanai space. Nice open spacious floor plan offers privacy for both bedrooms and two separate covered parking stalls. Recently updated with fresh paint, new ceiling fans, light fixtures, plumbing fixtures, & appliances. Luxurious building offers 24 hour security, pool, sauna, jacuzzi, private park, gym, office, individual wine locker, & resident manager. Quiet & convenient Nuuanu. Beautifully maintained & very spacious – 1,470sqft, 2 bed, 2 bath, 2 parking Corner unit in the preferred Makai Building! Features include Ocean & Mountain Views, New Luxury Vinyl Plank Flooring, New Carpet, Fresh Paint, 24 Hour Security, Pet Friendly & much more! One Waterfront Towers is conveniently located in the heart of Kakaako, just minutes away from Salt, Downtown, Ward Village, Ala Moana, restaurants and parks. Seller will credit Buyer the amount equal to the remaining balance on the Special Assessment that expires on Dec 2019. A MUST SEE! 92-7049 Elele Street 77, Kapolei, HI new listing!